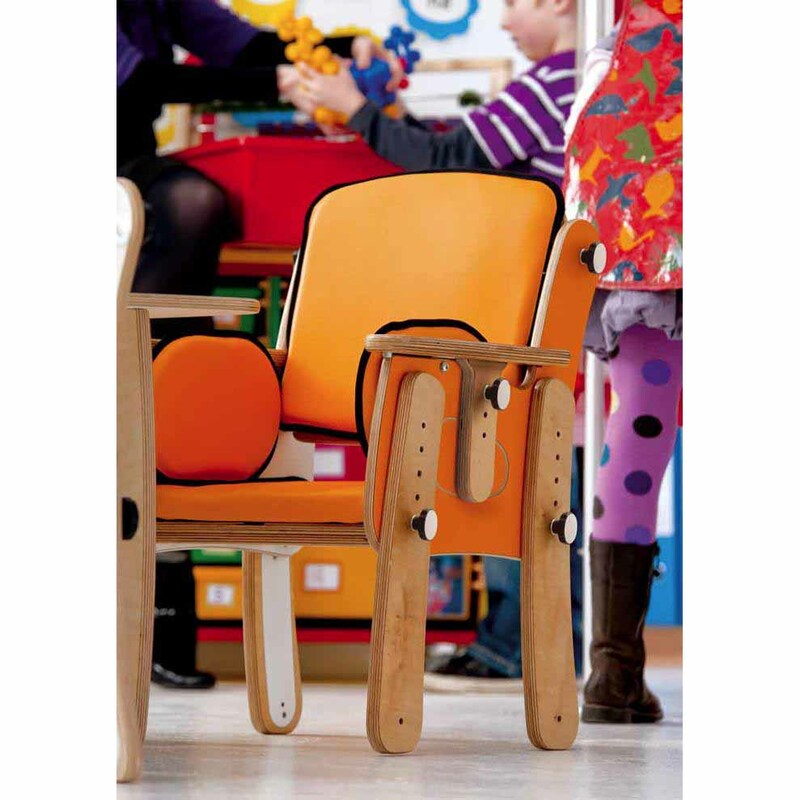 Leckey PAL classroom seat is an attractive, robust and easy to use classroom and nursery seating system for kids of 1 - 12 years of age, having mild to moderate postural needs. 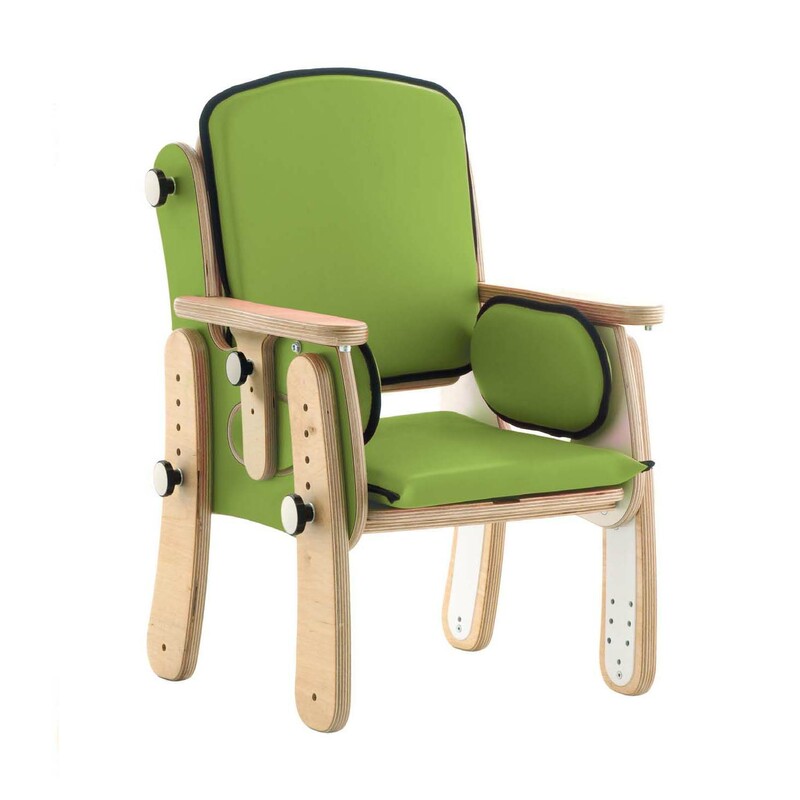 PAL seat is designed to offer good support, allowing child with mild positioning needs to focus on school, therapy, or play. PAL gives improved stability which helps in reducing fatigue, providing the child longer periods of concentration and fine motor activities. User height range 27.6" - 37.4" 35.4" - 41.3" 39.4" - 51.2" 48" - 64"
Maximum user weight 66 lbs. 77 lbs. 88 lbs. 110 lbs. Seat depth 7.1" - 9.4" 8.7" - 11.4" 9.8" - 13" 12" - 16"
Seat weight 9.6 lbs. 13.2 lbs. 17.9 lbs. 22 lbs. 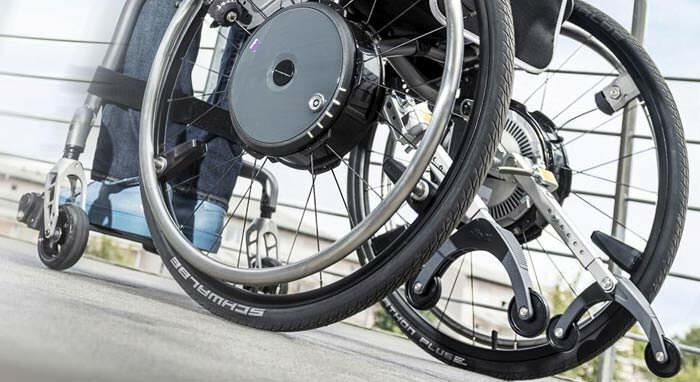 with 2 X 50mm side pads 5.9" 6.7" 9.1" 11.1"
with no side pads 9.8" 10.6" 13" 15.2"
Backrest height 10.4" 12.4" 15" 17.7"
Seat to footplate 5.5" - 9.4" 6.5" - 11.2" 9.1" - 13.8" 11.2" - 16"
Seat to floor 6.3" - 9.4" 7.3 - 11.2" 9.8" - 13.8" 12" - 16"
Armrest height 4.8" - 6" 5.6" - 6.8" 7.2" - 9.2" 7.6" - 9.6"
Tray size (W x L) 19.9" x 17.9" 21.3" x 19.7" 23.6" x 21.7" 25.8" x 23.6"
Tray depth adjustment 2" 2" 2" 2"
Overall depth 12.4" 15" 18.1" 19.7"
Overall height 16.5" 19.7" 24.4" 28.7"
Overall width 13.8" 15.7" 18.1" 18.9"
with footplate attached 18.1" 20.5" 28.9" 29.3"